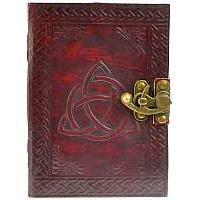 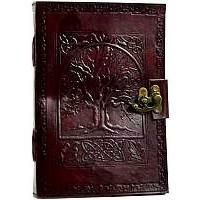 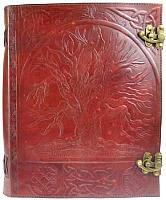 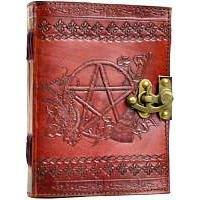 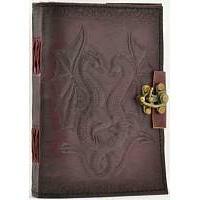 This Hand tooled lined leather journal is embossed with three stones and various carvings. 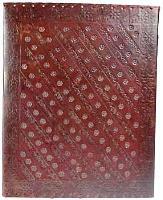 Border embossing may vary. 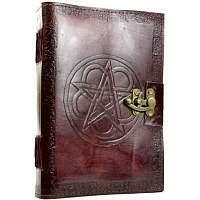 Size may vary slightly with this hand made Leather book that includes 360 pages of handmade paper and a latch closure. 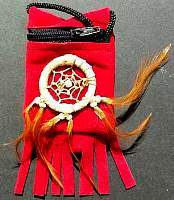 Approx size is 10 x 13 inches and is made in USA.